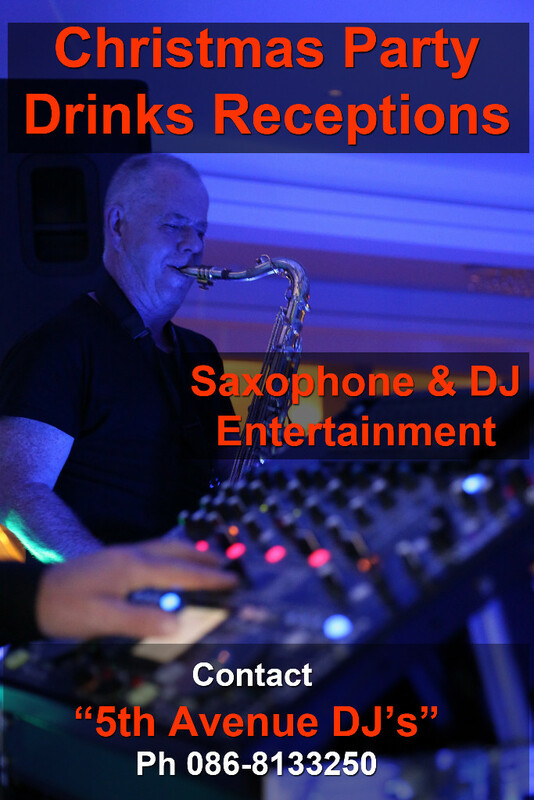 Dublin "Saxophone & DJ Duo Mix" for Weddings, Christmas partys and Corporate Events. Saxophone Player & DJ Dublin. 5th Avenue Dj's provide a Live & Exciting DJ set featuring Eamonn on saxophone performing all the party hits with 5th Avenues resident Dj at your event. Book the latest trend in Corporate and Wedding entertainment for your upcoming event. To book 5th Avenue Dj & Saxophone Duo complete Contact Form. Visit 5th Avenue DJs facebook page for images of our latest events and partys.